I’ve got something fun for you all today. I feel like I haven’t had many finished projects to share lately, and while house progress posts are fun for me, maybe you are missing having some actual finished projects to inspire you. 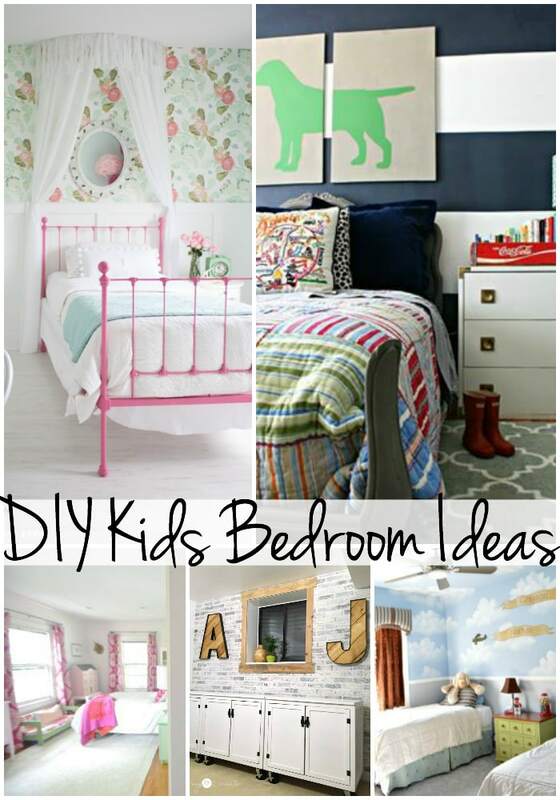 S0, I’m guest hosting the DIY Housewives this month to share some great kids room ideas. When it comes to kids rooms, hands down my favorite is my daughter’s old room from our last house (although her new room is definitely going to be my new fave – check out my plans here). It was a great balance of fun and frilly without being too girly. You can check out all the details here if you are new around here. My favorite totally no brainer DIY part of her room is her No Sew Bed Canopy, you can check out how to make your own here, but basically if you can operate a staple gun and a scissors, you can handle this one. 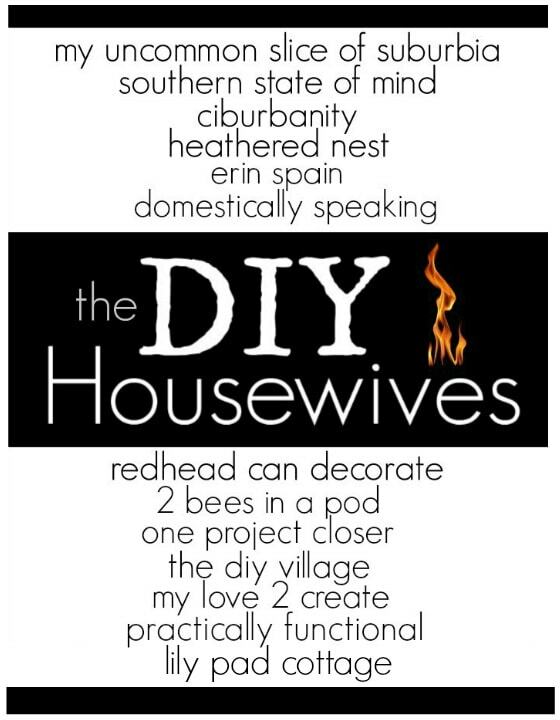 Now check out the rest of the “DIY Housewives” awesome projects below! Thanks for joining in this month, Kelly! 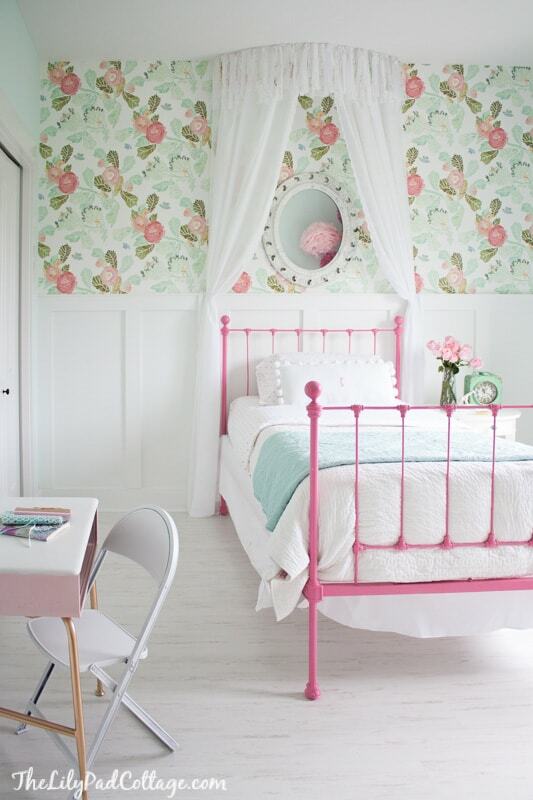 Your daughter’s room is beautiful and I especially love that mint colored clock. Good luck with your new house! I will be on the look out for it all! I love all your house updates by the way!! so fun to see the progress!! thx for sharing all of it!! Thanks Lisa, they started hanging all the cabinets today so a big update is coming next week! Your bedroom looks great! You should feel SO proud. The living room is a dream! I love the color combination. You did a fabulous job on it and it is definitely one of my favorites!